There is a fresh face in the Canadian Right. 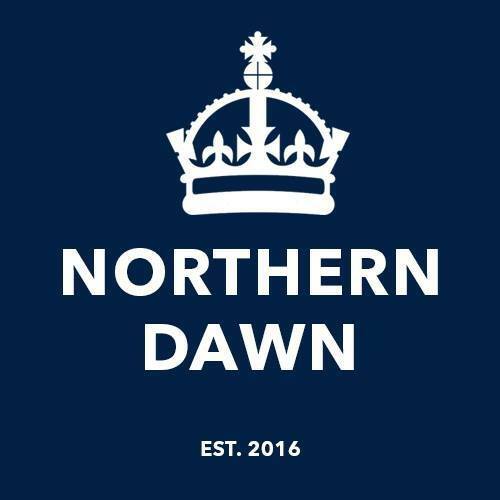 Established this passing year, the Northern Dawn has quickly emerged as a hopeful presence in the fight against the liberal establishment. Interviewed by Vice and the Edmonton Examiner, it continues to present a polished and professional face to the public. What characterizes Northern Dawn's political philosophy is a reactionary traditionalism concerned with maintaining the sovereignty of Canada and its historical roots in the British Crown. The strength of Northern Dawn lies in its particular and uniquely Canadian position distinguishing it from many other North American right-wing groups. Joining us here today, we will be discussing Northern Dawn's particular vision for Canada's future and the role it means to play in the growing movement. But before we begin I would like to extend our gratitude on behalf of the CEC team and warmly welcome Northern Dawn to our humble abode. It is always a great pleasure to find allies and see the growth required for the change Canada needs. To get us started, how would you describe the Canadian tradition? Northern Dawn (ND): In one sense, there was never meant to be a Canadian tradition as such. Up until the stirrings of 1776, the British colonies in North America all had roots in the mother country and political loyalty to the Crown. But when powerful oligarchs in several of the colonies took the side of radical organizations like the Sons of Liberty, a great number of British Americans took extreme measures to keep their oaths to the Crown. 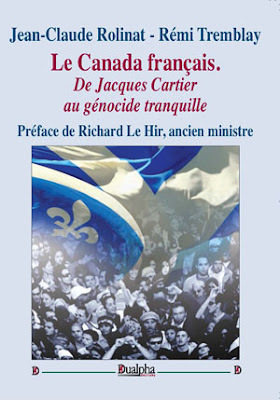 Likewise, Quebec decided against joining in the republican experiment. The Canadian tradition is often an implicit thing rather than fully articulated, such as in the spiritual leadership of a Bishop Strachan or the novels of Stephen Leacock. In some ways, the strongest expressions of a Canadian tradition — particularly that of George Grant — were only written in the 20th century, when Americanization became a threat on the cultural instead of the political level. Nevertheless, this is a function and not an error of what Canada defended; if the rebels had grand ideological visions, the Loyalists had concrete oaths and lived social mores which tied them to European Christendom. If you could suggest a launching point for those unfamiliar with traditionalism, who are some thinkers and philosopher you would recommend? ND: Philosophers writing about these issues come from a variety of perspectives and temperaments. George Grant, Stephen Leacock, and Prof. Ron Dart are good entry points to the Canadian tradition itself. Charles Taylor, Peter Hitchens, Paul Gottfried, John Gray, Alasdair MacIntyre, Erik von Kuehnelt-Leddihn, Bruce Charlton, Mencius Moldbug, Charles Coulombe, and Roger Scruton are strong thinkers on broader themes like liberalism, secularism, and civilization-scale viewpoint. People looking at more current political events and issues like immigration in North America include Steve Sailer and Charles Murray. What response does Northern Dawn suggest to immigration and what steps should be taken to ensure the ethnicity of Canada is in accord with its historical roots? ND: We aren't at this point promoting detailed political policies. However, we believe that immigration should like all issues be viewed from this perspective: "how does a responsible Sovereign govern in this area?" It is clearly irresponsible to encourage policies which result in conflict, or cultural-demographic instability. Social, cultural, and demographic cohesion must be considered in any sound immigration policy rather than just economic benefits. We require a firm vision of what Canada is and reform future immigration policy according to this vision. Issues such as housing speculation, birth tourism, and money-laundering have also not been taken seriously at this point in time, and we will continue to see the negative fallout of this attitude. Are there any historical Canadian political leaders who you particularly admire and believe have set precedence for your views? ND: Pre-Confederation, Bishop John Strachan is notable due to being the spiritual leader of the Anglo-Canadian elite of his time and his presence at the War of 1812. Born in Britain, he came to strongly embody the Loyalist spirit. Sir John A. MacDonald is also worth highlighting. His mentality and policies are not at all compatible with current libertarian-neoconservative ideological commitments in what is called conservatism. He firmly believed that economics must be subject to the political vision; in his case, a sovereign and united Canada within the British Empire. What role do you believe Christianity has to play within the political sphere? ND: We firmly uphold Canada's Christian heritage and believe the Canadian tradition is inextricable from the civilization of European Christendom. Secularism is collapsing across the West as states must explicitly confront religious questions, particularly with the rise of Islam. This requires at the very least that the West must understand its own religious heritage. Going further, the incoherency of secularism as an ideology is becoming more apparent. Anglo-British secularism — the attitude of neutrality between religions in the political sphere — is no longer possible, while French secularism — the erasure of religion where it conflicts with the Jacobin mentality — is itself a destructive force with regards to our identity. While not all contributors to Northern Dawn are Christian, the project can be said to be post-secular. Moving forward in a post-Brexit world, what kind of relations should Canada foster with the United Kingdom? ND: Canada has a special tie to the United Kingdom both by our Queen, as well as by culture and population. Those committed to our traditions in both countries must recognize our ties and build on them. Stephen Leacock in particular firmly opposed the brand of Canadian nationalism which tries to deny the British past and cut itself off from Mother Europe. A nationalism without roots is no nationalism at all. Such a vision ought to inform questions of trade or foreign policy. Currently, there are at least two visions of Brexit. One is a liberal one which envisions Britain as a free trade center which is merely outside the EU. The other sees Brexit as a more fundamental rejection of globalism. Northern Dawn, of course, has its sympathies with the latter. Right wing political associations are emerging both in Canada and the United States at a rapid rate. Often the growing movement is characterized by a conglomeration of philosophies and beliefs spanning the right spectrum. When faced with this multiplicity of views, what common ground do you think holds us all together? ND: It's worth remembering what the term "alternative right" originally referred to: a multiplicity of rightist thinkers and traditions opposed to the neocon-neoliberal establishment. In one sense, there is a unity based on opposition. At the present time, President Trump could be said to be another pole of unity. Even generally non-political people sense that he represents a final hour of decision about what America and the West ought to be. The major disagreements within this broad rightist multiplicity are what precisely defines our civilization (race, faith, etc), what the best means to save it are, and which historic movements most influence us. But that it is worth defending and reawakening is not in question. Hypothetically what are some key policy points a political party that would have your support should run on? ND: Some examples include autarkic thinking with regards to our natural resources, making the Canadian tradition a core part of our education system both explicitly and implicitly, and Make the CBC Nationalist Again. The most important thing a political party with our views can do is understand how much of the actual government does not necessarily have any loyalty to the elected party. Both PM's Diefenbaker and Harper made this fatal mistake. While we have many disagreements with Harper, the level of comfort which the civil service felt in openly opposing him was quite shocking to see. A party which intends to govern must plan ahead based on this reality. Considering the often conflicting goals and directions of a French and English Canada, how do you suppose both of these traditions can be reconciled in your vision of the Canadian state? ND: In fact, we are consistently trying to get more feedback and support from French and Quebecois traditionalists and rightists to further explore this question. The continental French reactionary tradition is a powerful one: Joseph de Maistre, Louis de Bonald, Charles Maurras, and so forth. In Canada, George Grant found inspiration in the spirit of Henri Bourassa. One area to explore may be how French thought could be a corrective on the natural individualism of the Anglosphere, which often prevents English thought from competently addressing supra-individual concepts like the state and civilization. In any country, the state reconciles the various tendencies and currents of thought and culture into a greater sovereign power. In Canada, that sovereignty is embodied in the Crown. We believe that the Crown embodies many of the concepts which the Canadian Loyalist and High Tory traditions discuss intellectually. This being so, English and French loyalists of their respective traditions would present a stronger force if they rallied around this visible figure, rather than fragmenting. Where does Northern Dawn go from here? Will you continue a metapolitical approach to changing the public climate in Canada or do you have plans to take a more active role as a political group? ND: Currently, these currents of thought are being explored by assorted websites and independent scholars. The Northern Dawn project is focused on bringing these various currents under one digital roof and presenting them in an accessible way. We will continue to build this intellectual framework in order to present a superior alternative to the failing liberal, globalist order. Lastly, do you have some final words of inspiration for those Canadians who feel hopelessly unrepresented by the political system? And how can they contribute to the Northern Dawn project? ND: As many of your readers will know, this year marks Canada's 150th anniversary of Confederation. The media and Trudeau government will be marking the year — but unfortunately, it's certain that they will present a view of Canada completely divorced from its heritage. As such, we want to present the chance for people to contribute to a digital symposium. Themes can range from history to political philosophy or explorations of research topics. The main qualifiers are that they should focus on the Canadian context of the topic and should take a long-term view rather than focusing on day-to-day political issues. Essays will be presented on the site and will be longer than our average article. We will publish more details on this shortly, but we encourage people to get in touch if they have early ideas. Lastly, we encourage readers disheartened by the current chaos to reflect on the idea of microcosm and macrocosm. We live in a chaotic age ultimately because of the chaos within us. Self-education, physical training, having a family — these things are within our power. If we desire a better order of things, we must become worthy of it. Let us go forth and do so.